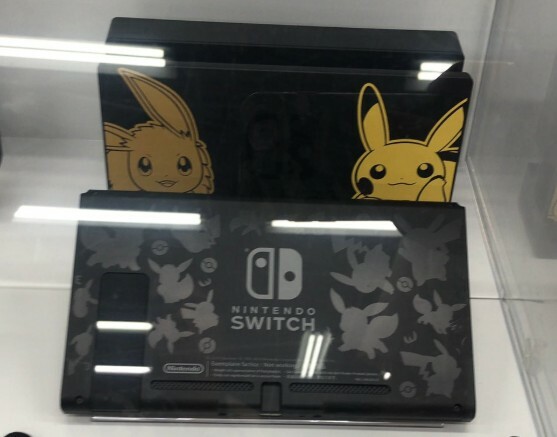 Nintendo has sent out samples of the Nintendo Switch Pikachu & Eevee Edition and Nintendo Switch Super Smash Bros. Ultimate Set for retailers to put up on display. 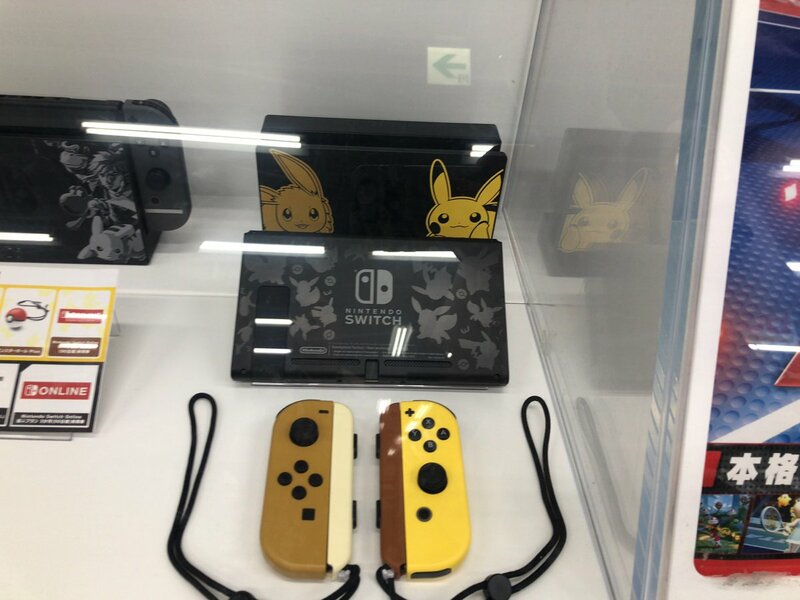 In the photo shown below, we have the world’s first look at the Pikachu & Eevee Nintendo Switch Dock, console, and Joy-Con, all of which are exclusive to the Nintendo Switch Pikachu & Eevee Edition. Also at the left is a portion of the Super Smash Bros. Ultimate Nintendo Switch Dock and Joy-Con, exclusive to the Nintendo Switch Smash Bros. Set. Of course, these items will be sold separately in Japan. You can see these on display at Yodobashi Umeda, and soon every other major retailer in Japan.